Jinya Ramen Bar to Open in Northwest D.C.
Jinya Ramen Bar the Los Angeles-based restaurant that opened its 2,500-square-foot East Coast flagship location in Fairfax’s Mosaic District last June, will open a 4,000-square-foot outpost at 1336 14th St. NW early this summer. The chain has restaurants across the United States and Canada. D.C. will be the restaurant’s 27th location. 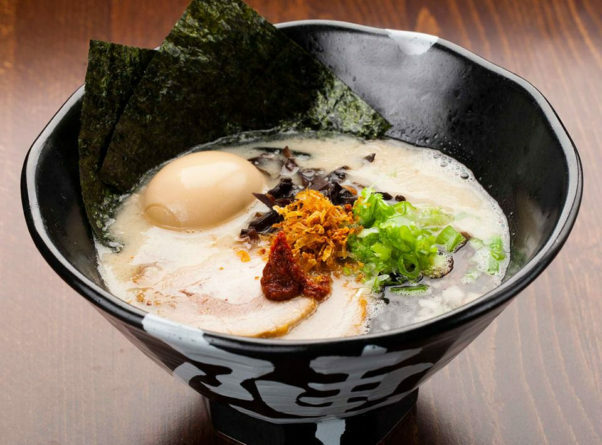 The restaurant specializes in Tonkotsu ramen, a pork-based broth that is cooked for more than 18 hours and topped with assorted ingredients that diners can customize. It also has chicken and vegan ramens, as well non-ramen dishes such as quinoa salad, rice bowls, small plates and mini tacos. The restaurant also serves local craft beers, Japanese-inspired cocktails; sake, wine and seasonal, house-made, non-alcoholic beverages. The two-story restaurant is being designed by LA-based Ikedo Design and D.C.-based Grupo 7. It will seat 100 with full bar on each bar and a 20-seat upstairs patio. Tasty Burger, 2108 Eighth St. NW, added several new items to its menu last week. 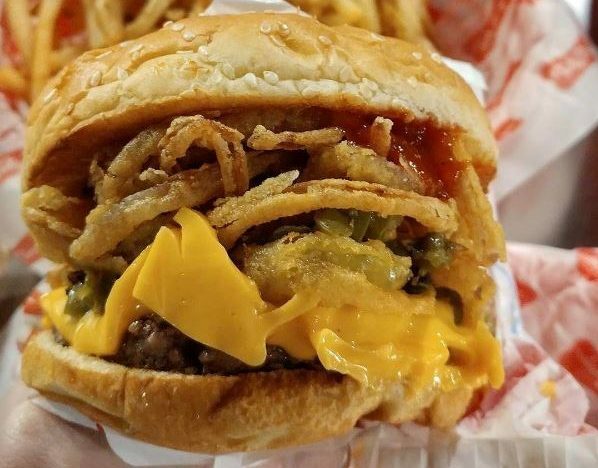 The Boston-based burger chain brought its Mama Burger topped with fried pickles, roasted jalapenos, fried onions and smoky BBQ sauce to D.C., along with a new turkey burger topped with chipotle mayo, lettuce, tomato; and a veggie burger topped with guacamole, spinach, red onion, tomato. It also added a garden salad made with baby spinach, kale blend, grape tomatoes, cucumber, shredded carrot with choice of dressing. New combos include the Family Picnic with a hamburger, hot dog and choice of drink and Two Dog Night, two hot dogs with French fries or tater tots and drink. Also new are mini four-inch snack pies from Table Talk Pies available in apple, blueberry and chocolate éclair. Diners can also make any sandwich a combo with tater tors, French fries, onion rings or a side salad and a drink for an additional $3.50. 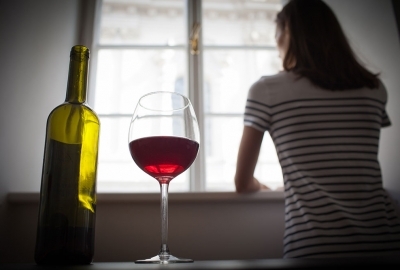 The $89 prix-fixe menu includes an amuse bouche of ceviche paired with Cava Jupé y Camps, Pinedes, Spain NV; salad with chèvre-bucheron cheese, strawberries, baby arugula and lemon vinaigrette paired with Sancerre Rosé, Delaporte, France 2016; Saumon sauvage du Pacifique; flash seared marinated wild salmon with ramps, mushrooms and beurre rouge paired with Red Tail Ridge, Finger Lakes 2014; confit de canard with royal trumpet and hen of the woods mushrooms, cipoline, blackberries and red wine jus paired with Wild Hills, Willamette, Oregon 2015; and whipped pavé d’affinois cheese with black raspberries and black pepper tuile paired with Michael Pozzan, Russian River Valley, California 2014. Slate Wine Bar + Bistro, 2404 Wisconsin Ave. NW, will host a four-course Portuguese wine dinner featuring Manz Winery beginning at 7 p.m. on Thursday, May 25. The cost is $65 per person. Started in 2008 by André Manz, the winery revitalized and introduced the world to Portugal’s almost extinct Jampal grape. Manz was discouraged from producing the Jampal grapes, but created the award-winning white wine, Dona Fatima, the only one in the world that uses 100 percent Jampal grapes.. 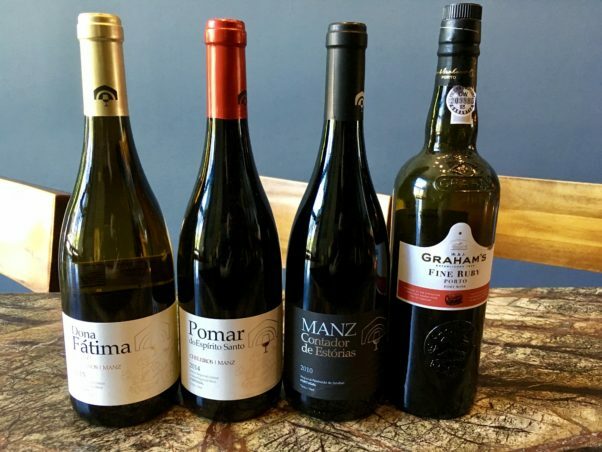 The menu will feature chard octopus salad paired with 2014 Manz Dona Fatima, Lisboa; cod à bras deconstructed served with 2014 Manz Pomar do Espirito Santo, Lisboa; suckling pig à bairrada paired with 2010 Manz Contador de Estorias, Península de Setúbal; and anise drunken pears served with NV Graham’s Ruby Port. Le Diplomate, 1601 14th St. NW, brings back its Les Glacés de Diplomate summer ice cream cart beginning Friday, May 26. 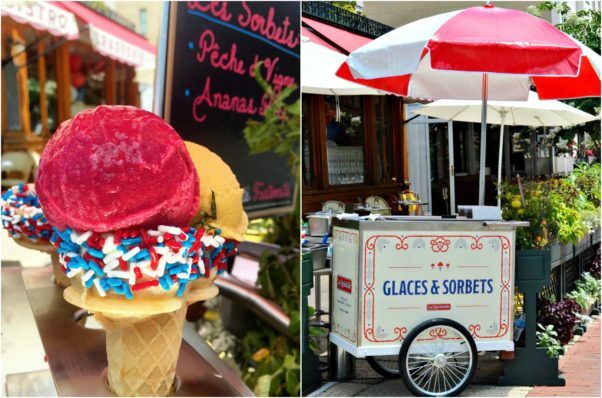 Each weekend, pastry chef Fabrice Bendano’s traditional Parisian, vintage inspired tricycle glace and sorbet cart will be on the corner of 14th & Q Streets NW from 11 a.m.-midnight on Friday and Saturday and from 10 a.m.-11 p.m. on Sunday. Each week, Bendano will present a new menu of flavors in the cart. Glacés and sorbets are $6 and include two flavors, presented on a dual cone with red, white and blue sprinkles. This weekend’s flavors are huile d’olive, a créme glace of olive oil; pistache; banana- passion fruit sorbet; and framboise sorbet, a traditional raspberry sorbet with a hint of lemon. 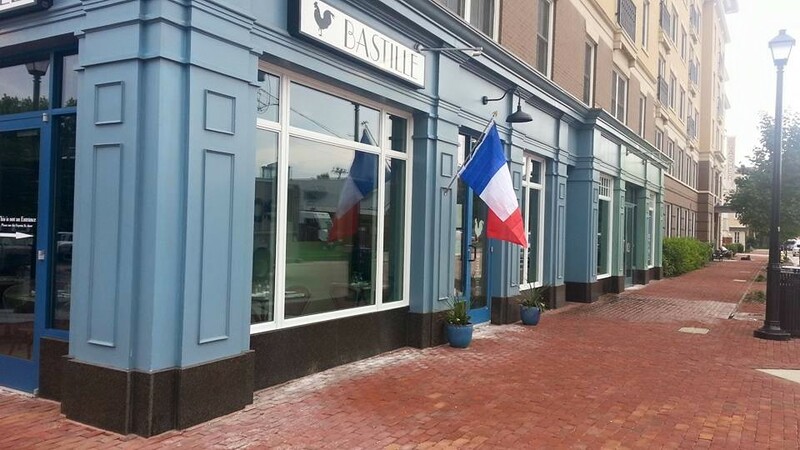 Brian McPherson has replaced Dean Dupuis as chef de cuisine at Brasserie Beck, 1101 K St. NW. McPherson, most recently was executive chef at Kimpton Hotels & Restaurants’ Jackson 20 and the Grille at Morrison House in Old Town Alexandria. Prior to that, McPherson was in the kitchen of other D.C. are restaurants including New Heights, Butterfield 9, David Greggory and Poste. 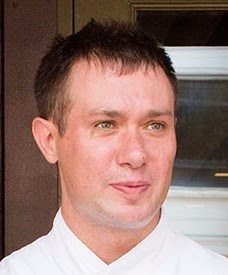 Dupuis, who had been with RW Restaurant Group for five years, began at Mussel Bar & Grille and eventually moved to the more elaborate menu and setting of Brasserie Beck. After 11 years on Pennsylvania Avenue, TenPenh recently reopened in Tysons Corner at 7900 Westpark Drive, McLean. 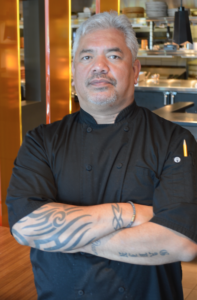 Now Passion Food Hospitality announced that former chef de cuisine Cliff Wharton will be returning to lead the kitchen at the Asian-fusion restaurant. Wharton will bring his traditional Filipino delicacies such as lumpia, a crispy roll filled with cabbage, beef or pork, water chestnuts and bean sprouts; chicken adobo, a chicken dish slow-cooked with spices, soy sauce and vinegar; pancit, a noodle dish; and longaniza sausage. Wharton will also introduce more family-style sharing plates.